Summer - Time to be out and about, browse the events in Dorset for the delightful months of June and July. Time for the seaside for all, sunbathe, swim and just relax. Shop in Bournemouth or Weymouth. Add one of these events to the mix!! Poole Maritime Festival Celebrating European Maritime Day. Throughout June 2019. Poole Festival of Running is being held on 1st and 2nd June 2019. This is one for everyone. Plenty of entertainment as well. Wimborne Minster Folk Festival 6th and 9th June 2019. Lively event in the middle of the year. Poole Harbour Boat Show 7th to 9th June 2019. It is becoming quite an event. West Dorset Vintage Tractor & Stationary Engine Club Annual Rally 8th and 9th June 2019. Melplash Showground, West Bay, Bridport. Dorset Midsummer Music Festival 21st and 22nd June 2019. This is a small friendly music festival set in the heart of Dorset in an Area Of Outstanding Natural Beauty. Bournemouth Food Festival TBC. Festival Hub, Bournemouth Square. Ferndown Fete on the Field 22nd June 2019. A Fun Filled Fete to raise money for charity. Entry on the day. Beaminster Festival 22nd to 30th June. Tankfest 28th to 30th June 2019. Biggest and the Best. Tank Museum, Bovington. It would be wise to book online quickly as this event is soon sold out. UK Boogie Woogie Festival 5th to 7th July 2019. Sturminster Newton. Dorset Seafood Festival 13th and 14th July 2019. 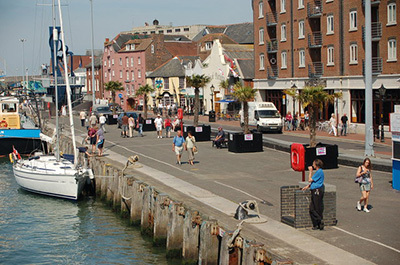 Weymouth Harbourside. Taste the seafood of the Dorset coast. Festival of Archaeology 13th to 28th July 2019. Over 1000 events held all over this country that is so rich in prehistory. Will form part of the 75th anniversary of the Council for British Archaeology. Larmer Tree Festival 18th to 21st July 2019. Larmer Tree Gardens near Salisbury. Tolpuddle Martyrs Festival 19th to 21st July 2019. Tolpuddle. Swanage Regatta and Carnival will be held this year from 27th July to the 3rd August 2019. A WOW Carnival. Dorset is such a diverse county, the Jurassic Coast in the south, Thomas Hardy country around Dorchester, gentle farmland in the north, some steep hills for the challenged. Bournemouth and Poole, Christchurch, Weymouth, Lyme Regis, Wimbourne etc. A small county, but it packs so much. Poole, next door to Bournemouth on the beautiful south coast of Dorset. It is a large tourist resort in its own right with a large natural harbour. The Quay is well worth a visit and cruises in the harbour are av available. Blue Flag beaches. Corfe Castle is a National Trust property. Cromwell knocked about a bit in the Civil War. Breathtaking views. There is a Tea Room for a cuppa. Wildlife abounds. Wimborne Minster is a market town in East Dorset. Ethelred, brother of Alfred the Great is buried in the Minster. Old and new in the town combine to make a most captivating place to visit. 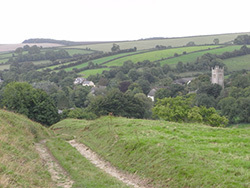 Shaftesbury in the north of the county is another lovely town looking over Blackmore Vale. Amazing views. Visit the interesting and attractive Gold Hill Museum. 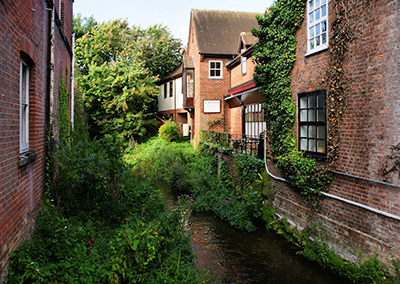 Piddletrenthide, an attractive village can be found on the Dorset Downs by the River Piddle. It has a beautiful church and pretty thatched cottages. Swanage, a lovely seaside resort in the south east of Dorset. One of the gateways to the Jurassic coast and the South West Coastal Path. Visit Lulworth Cove.